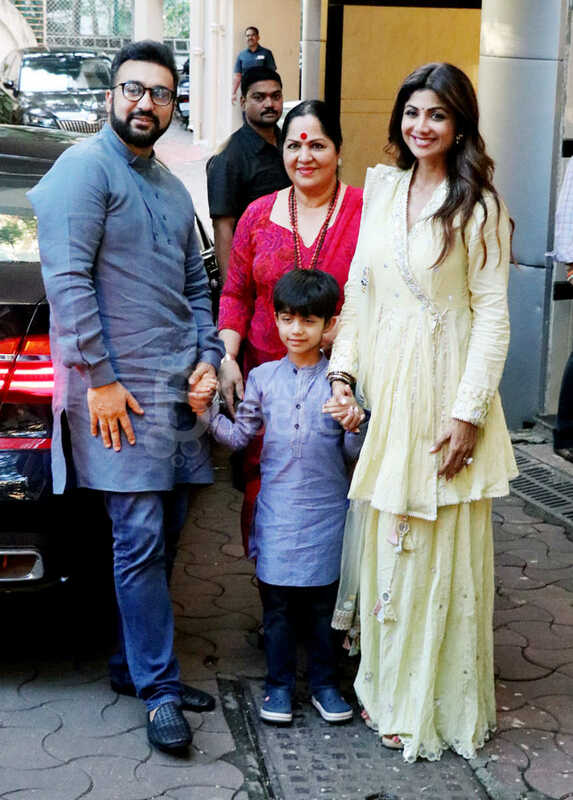 Shilpa Shetty was spotted at Pali Hill as she went there for Ganpati Darshan along with her family. 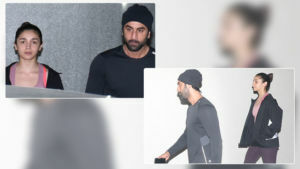 She was accompanied by her husband Raj Kundra, son Viaan and mother Sunanda. 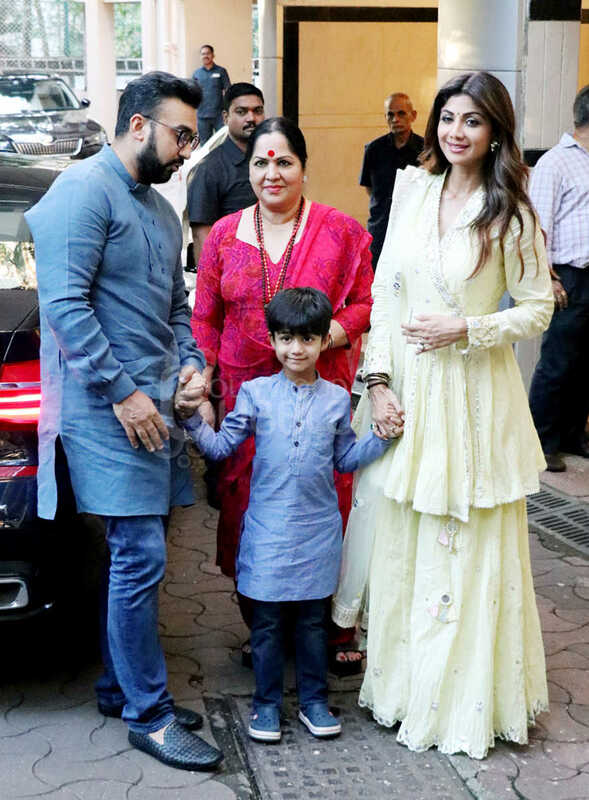 Raj and Viaan were seen sporting a color co-ordinated kurtas whereas Shilpa and her mother were seen sporting an ethnic wear. 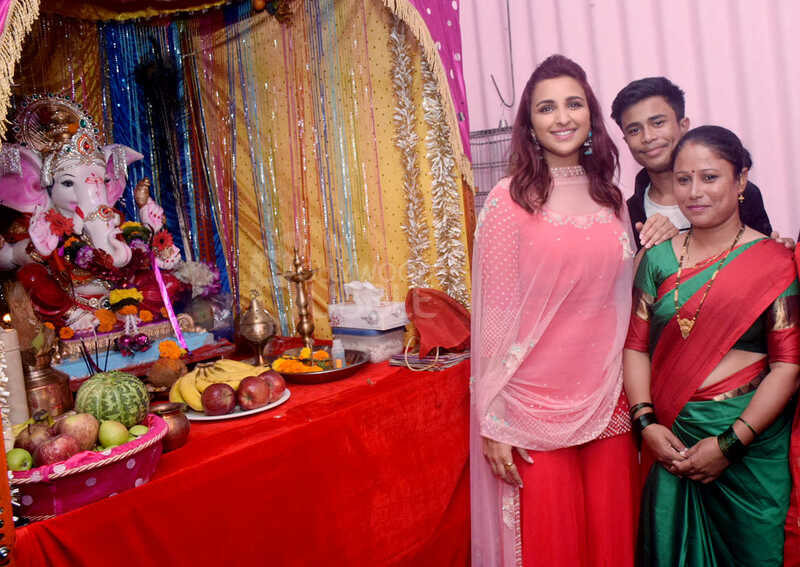 Parineeti Chopra was spotted in Versova seeking blessings of Bappa. The actress was seen wearing a lovely ethnic bell bottom ensemble. Parineeti happily obliged to the requests of her fans and posed for a selfie with them.